What are some essential graduates career advice I can give if you have just graduated? Which eight would I choose as something you can start with as you join the workforce? I consider these to be the basics of graduates career advice. I am sure there are more than these you can bring into the workforce. These eight is a start to ensure you begin on your right foot. Time is finite. Once it is gone you cannot take it back. Once a deadline is missed there is no turning back. If you missed an assignment, you risk a lower grade. But in the working world it can mean losing a job project and the company having to incur financial losses. Learn time management skills and you end up being more productive, effective and efficient. What’s the second graduates career advice? Do more, talk less. It’s far too easy to be convinced by people who say you can talk to impress people. And I do not deny that, but eventually your work has to be the proof that you are a good worker and you are dependable. You need to decide if you will do more and talk less or do less and talk more. Being present means two things to me. Firstly, it means be on time every time. This ranges from a small internal meeting to meeting your deadlines. It means being there when you are needed. Golden opportunities present themselves when you are present. Secondly, being present means focusing on what is the work that needs to be completed. It also means being mindful and fully aware of your surroundings. Develop some form of routine and be disciplined to stick to that routine. This is related to time management but goes beyond the time management that you do in the office. Have a routine for your life. Give yourself time - block off time for yourself to read or even do the chores like laundry, etc. Start to be more organized than when you were in college. Stick to this graduates career advice even though it does not relate to career building. You will soon see the wisdom of it. Compete with no one else. Of course, no matter what is said and done, you will always be peeping at the next guy to see how he is doing in his career. Sure, peep. But don’t be overly affected by competition that you forget to look at yourself. Be the best you can be in this long cross country marathon, it is filled with detours and stops. When you focus too much on your competitors you may get lost. It’s one of those graduate career advice you need to experience to know what this truly means. Life is as much about creating as it is discovering. I hear far too often fresh graduates saying, “I need to discover myself.” But is life all about discovering yourself? It is and it is also not. Life is as much as creating the you, you want to be as it is in discovering the you that you are. The truth is somewhere in between. So, when you get a job that is less than satisfactory for you, use it as a pedagogue to discover yourself. More importantly, use it to give you hints at creating the self you want to be. There is a lot of fun in learning. If you understand being present in the earlier graduates career advice, then you will know work life presents so much you can learn and be paid for it. Learn to love what you do and learn to love learning. Because the chance to do what you love maybe far and in between. When you find fun in learning then you will be constantly improving yourself. Learn to love books and all sorts of books. There is no need to stick to books in your own industry. These are the eight things I consider my graduates career advice. A new phase of life has just begun. It’s a long road of work from now on. There is no need to take the whole in one breadth. Take time and enjoy and hone your skills as you move along. 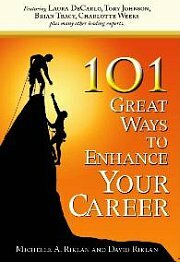 For more articles related to graduates career advice, click here.